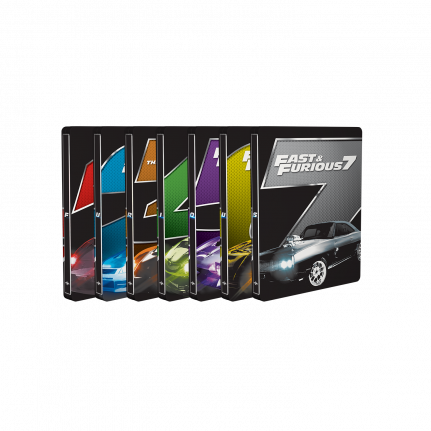 Pick up all seven Fast & Furious movies in matching SteelBook® editions treated with spot gloss! The glossy varnish creates depth in the artwork, and really makes the metallic pattern in the FF and the artwork stand out. Vin Diesel and Paul Walker reteam with Michelle Rodriguez and Jordana Brewster for the ultimate chapter of the franchise built on speed! From big rig heists to precision tunnel crawls, Fast & Furious takes you back into the high-octane world, which lives for speed, drives for the rush and breaks all the rules!